Everything changes in the storm. Nothing is the same as it once was. Nothing ever will be again. New lines are carved into the face of the land. New mysteries revealed in the wake. All the tempest sweeps the face of the world. Enjoy complimentary standard shipping on all US orders. Free Returns within 7 Days, less shipping costs. Standard shipping includes First Class mail with tracking number and insurance for all orders totaling less than $150, and complimentary Priority Mail for orders totaling more than $150. Faster shipping options, and alternate shipping services are available upon request. Please contact me for details. International Shipping is available to most countries. I will regretfully cancel your order if I cannot legally ship precious metal jewelry to your country. If your country allows the import of precious metal jewelry, I am pleased to offer you a $10 credit towards your shipping costs. Please contact me for a shipping quote. If your order arrives, and it wasn't exactly what you wanted, I'll be happy to issue you a full refund, less any shipping costs, for 7 days after you receive your order. For orders received within the last 45 days, I will refund you the purchase price, minus shipping and a 25% restocking and cleaning fee. Regrettably, custom orders are not returnable. I also offer lifetime repairs on all of my work. This piece is inspired by the glorious storms that roll across the skies, with towering skyscapes that flash with lightning. 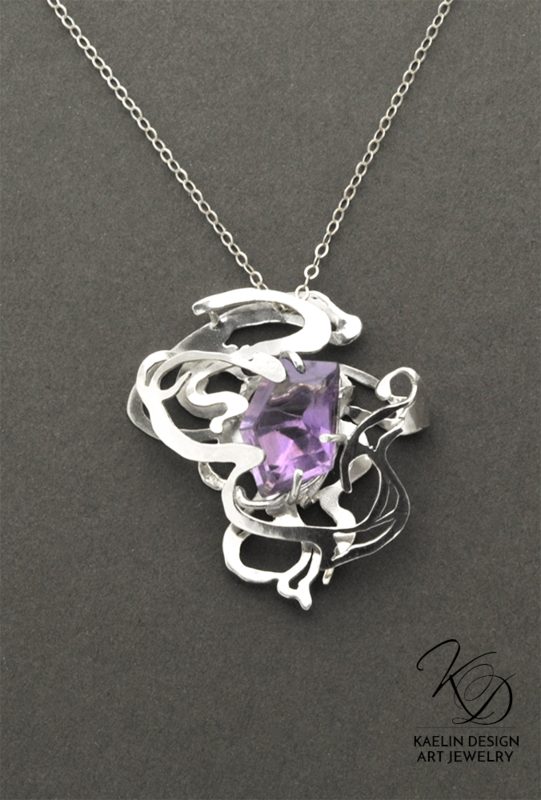 Hand pierced and meticulously cut out of Argentium Silver by hand, this one of a kind pendant features a 7 carat asymmetrical Amethyst, and an 18 inch anti-tarnish Argentium chain. 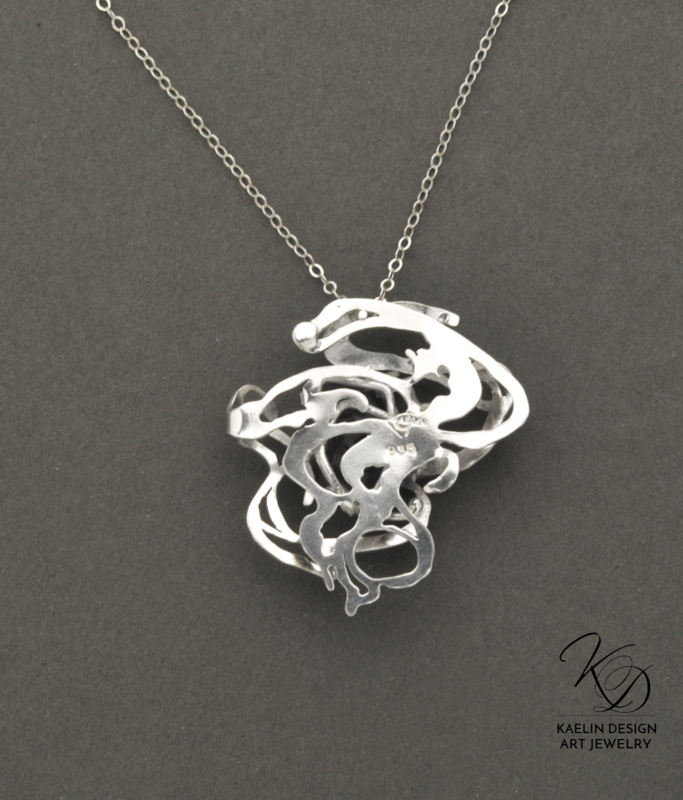 Pendant measures approximately 1.25 inches in height.